Now is your chance to own a fully remodeled home in the Friendly Hills neighborhood! 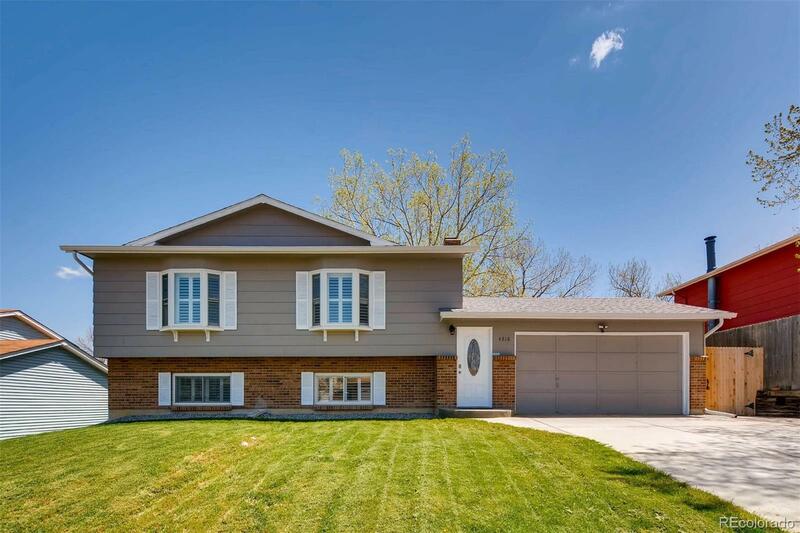 This beautiful home home boasts a fully remodeled kitchen with granite countertops, stainless steel appliances, updated tile flooring, and a exit directly onto a big Trex deck to enjoy the Colorado summer with family and friends. There are 2 bedrooms and 2 full bathrooms on both floors, with both bathrooms also beautifully remolded. This home also has a open floor plan to also entertain upstairs, and a family room downstairs to enjoy time with family near the fireplace. The home sits on a big lot with plenty of room for pets to freely run around, or enough space to start your very own garden with plenty of space left over. Don't miss out on your chance to see this home. Home will be available to start showings on 5/18 with an open house on 5/19 from 12pm-2pm.